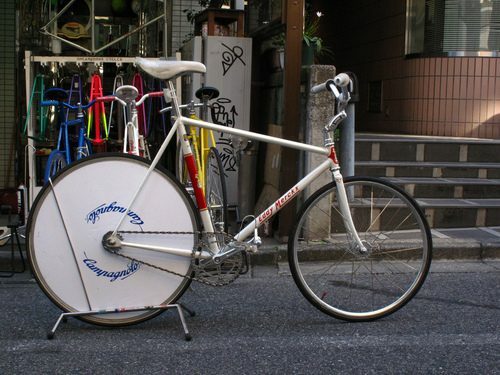 This Merckx Mondays comes from Dreamworks in Tokyo. 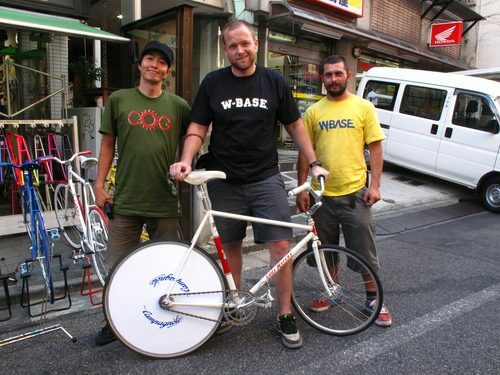 This Merckx pursuit bike definately has the Tokyo flavor. Complete with a drillium Nuovo Record crankset, Campagnolo disk wheel and a LOOK ergo stem. The Columbus aero seat tube is nice too. Beautiful bike and thanks to the guys at Dreamworks (and Super Ted) for the picture and the memories!